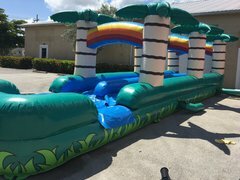 If you're loking for water slide rentals in West Palm Beach, Naples, Fort Myers or surrounding areas in South Florida, then look no further than Busy Bee Party Rentals. 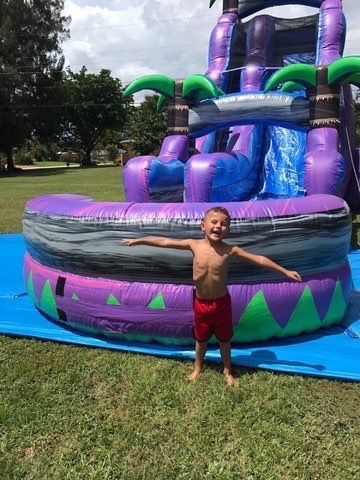 There's nothing better when it comes to cooling off in the hot Florida sun than a little bit of water fun. 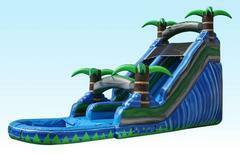 Perfect for kids and adults alike, our inflatable water slides will keep your guests entertained while creating some wonderful memories. 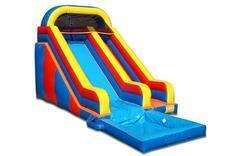 All of our slides are manufactured with fun and safety in mind. Also, all of our units meet or exceed rental industry standards, giving you peace of mind that your guests are safe during your party or event. 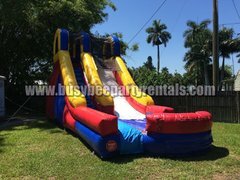 It's no accident that Busy Bee has become the go-to choice for all your party rental needs in the South Florida area. Our customer service is second to none. Whether you're hosting a back yard party or coordinating a large event, our friendly and professional staff is here to help. 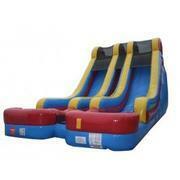 These large inflatable slides are tons of fun and with our awesome selection; choosing the right one is simple. 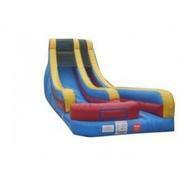 We also have a slip in slide that will draw in large crowds. 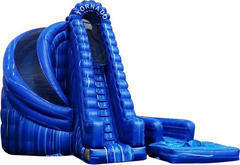 If you are looking for something that is unique, check out our Log Jammer Extreme. 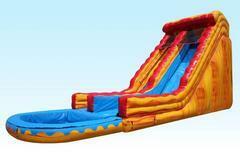 Also, be sure and check out the Purple Crusher, a jaw dropping 22' inflatable slide w/ pool. 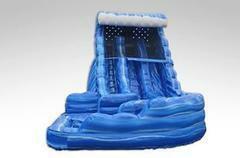 Your party goers will be lining up to take their turn on our wet and wild water slides. 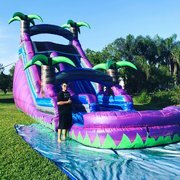 When it comes to the best selection of inflatable water slides, nobody comes close to Busy Bee Party rentals with selection and service. We proudly serve West Palm Beach, Naples, Fort Myers, Clewiston, Loxahatchee, Belle Glade, Lehigh, Immokalee, Wellington, Belle Glade, Lehigh, and other surrounding areas in South Florida . Here you'll find great deals on America's favorite party attractions. 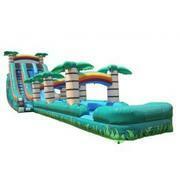 You are sure to find the perfect inflatable rentals for your next event. Browse the selections below and click the image or title for more information and to request a quote. We welcome all questions, please contact us for inquires and orders. 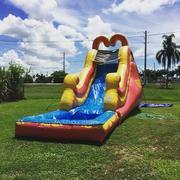 Click below to reserve your water slide rentals for West Palm Beach, Naples, Fort Myers and the surrounding areas in South Florida.